Stretch film is a commonly used name for multi-layer elastic polyethylene film, manufactured with the use of the so-called “CAST” film extrusion technology.Linear low density polyethylene (LLDPE) is the base material for manufacturing stretch film. Thanks to modern production lines and state-of-the-art technology, as well as the use of raw materials supplied by recognised manufacturers, our film features very high quality. Stretch film is used primarily for packing and protection of products, ranging from loads bundled on pallets, to individual items of large overall dimensions.Due to its low thickness and high durability that guarantees the stability of load, using stretch film is the most efficient way of wrapping products. Stretch film is used for packing and protection of products, ranging from loads bundled on pallets, to individual items of large overall dimensions.It is earmarked for wrapping loads with the use of packing machines. Designed for wrapping and protection of products with the use of wrapping machines, the thickness of the manufactured film amounts from 10 to 35 micrometres.Standard film width: 500 mm, it is possible to manufacture the film of other width in multiples of 250 mm. 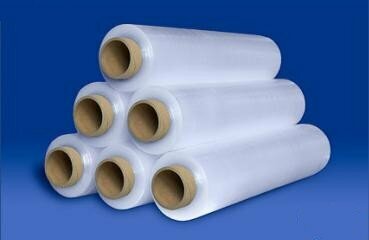 Stretch film is designed for wrapping and protection of products with the use of wrapping machines. The film is manufactured by pre-stretching a stretch-type film to a specific thickness. the reduction of film consumption has a positive impact onto the environment due to the reduced amount of waste. Thanks to the use of new technologies, the pre-stretch film manufactured by Ergis is equipped with laps on film edges. increased resistance of the reel wound to damage in transport. 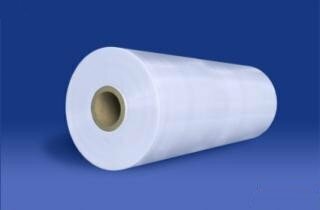 Pre-stretch film is available in the following range of thicknesses: 7; 8; 9; 10 µm. 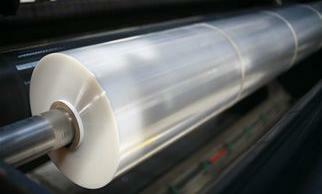 Pre-stretch film is manufactured for both manual and machine applications. Intended for manual wrapping; the thickness of the manufactured film ranges from 10 to 40 micrometres and the width is 450 mm or 500 mm, guaranteed stretch is 100%; the film is wound on automatic machinery equipped with devices controlling both the length and the weight of film wound on the roll. Production and sales of stretch film offered by ERGIS S.A. are covered by the Integrated Management System based on the ISO 9001:2000 and ISO 14001:2004 standards.